Home » What are the Most Common Types of Injuries to Vessel Cooks and Stewards? What are the Most Common Types of Injuries to Vessel Cooks and Stewards? It’s easy to think most maritime accidents only involve commercial fishermen, longshoremen and deckhands. However, vessel cooks and stewards are also susceptible to injuries at sea. Vessel cooks are necessary on smaller vessels, such as tugboats, as well as larger vessels, like yachts or cruise ships. 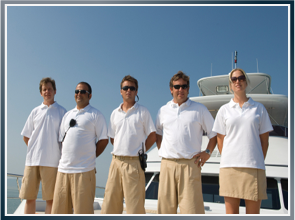 Vessel stewards are also necessary to perform housekeeping duties and even operate machinery. Due to the fact so much attention is attributed to what many consider the “high-risk” jobs of the industry, vessel cooks and stewards can be overlooked when a maritime accident occurs. However, most cooks and stewards are still protected under the Jones Act. As maritime attorney David Anderson from Latti & Anderson LLP explains, maritime law protects all who work at sea. Previous What Caused This Fatal Barge Accident? Next What If an Employer Refuses to Pay Maintenance and Cure After a Fishing Accident?